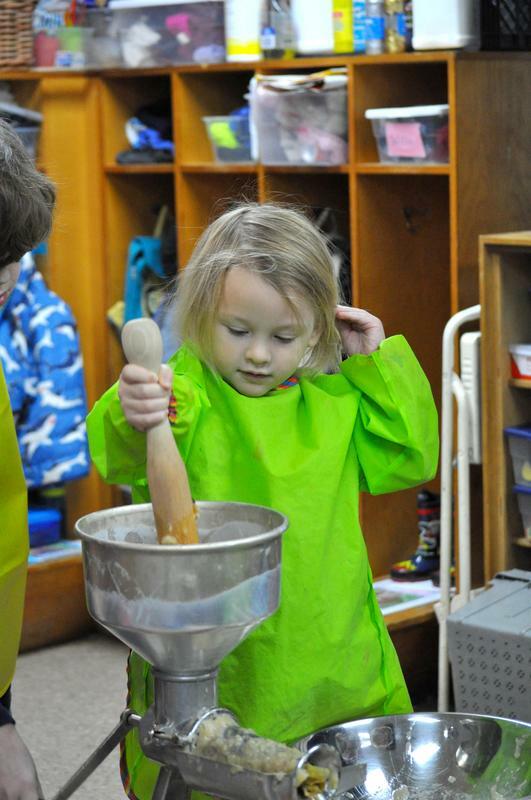 Heather Van Heusen, an FSH parent, brought in two apple presses today. 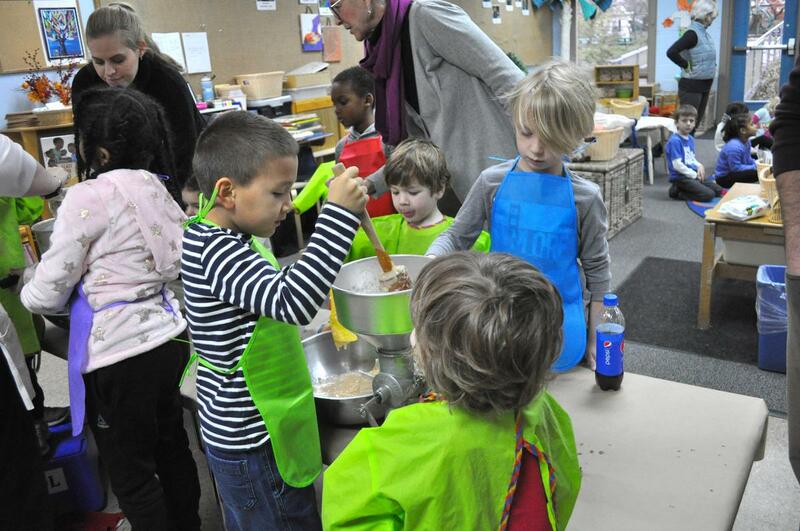 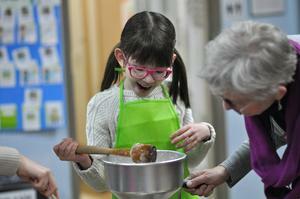 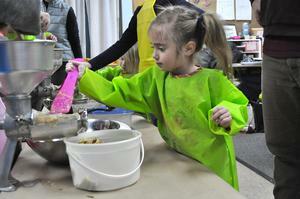 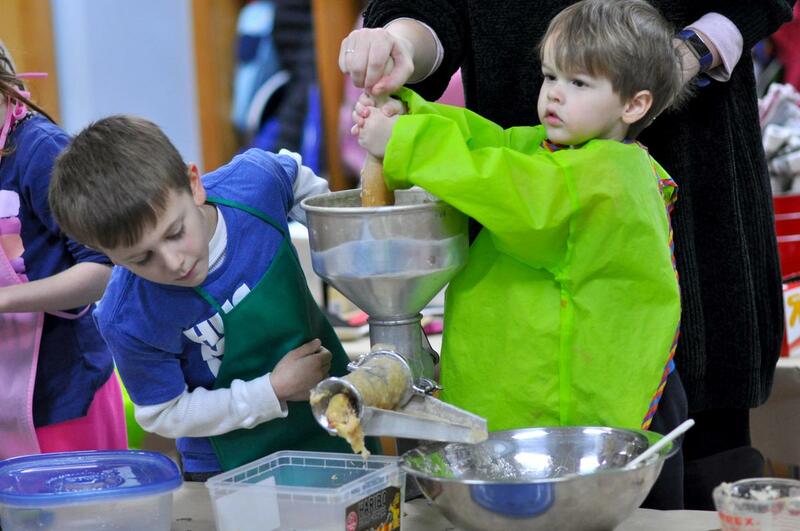 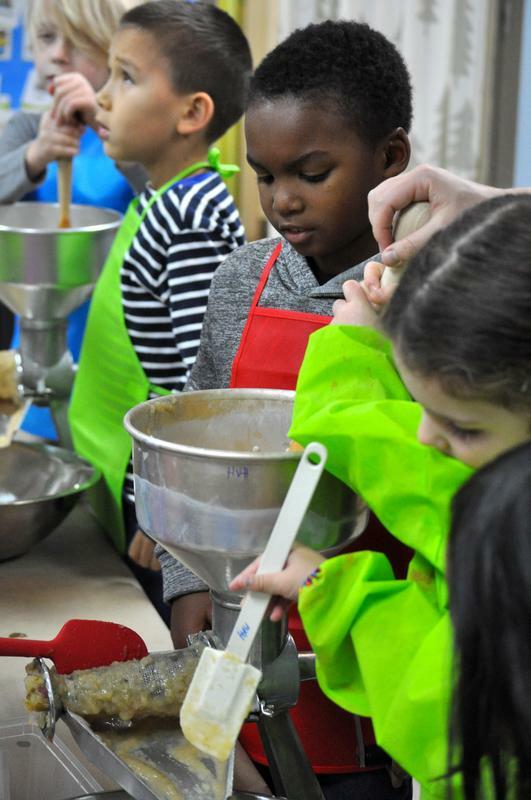 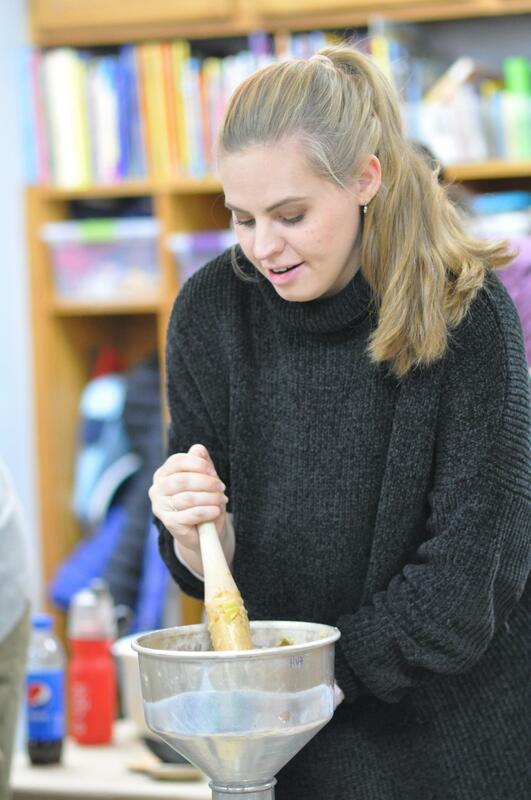 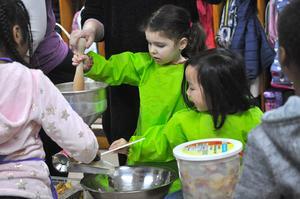 Grades 1/2 and preschool classes worked together cranking, scraping, and stirring up some yummy, homemade applesauce. Pre-kindergarten will have their turn tomorrow. 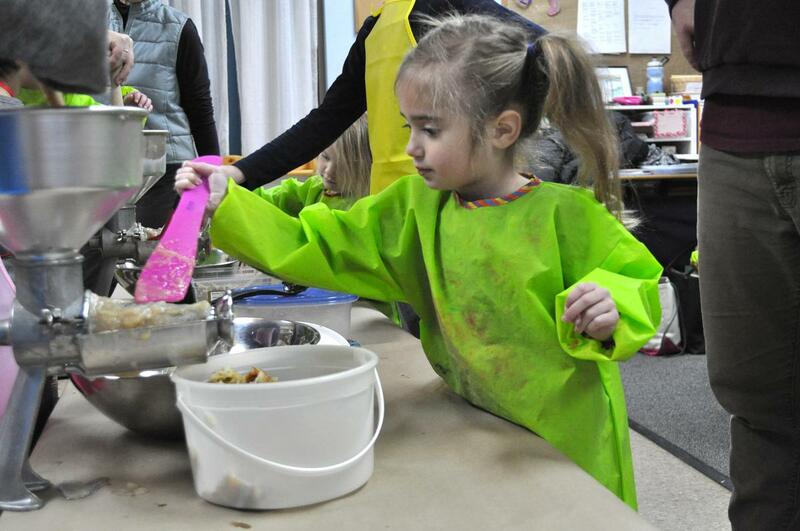 The applesauce will be one of the dishes at the Heritage House Thanksgiving feast next week.